Infrared (IR) vibrational scattering scanning near-field optical microscopy (s-SNOM) has advanced to become a powerful nanoimaging and spectroscopy technique with applications ranging from biological to quantum materials. However, full spatiospectral s-SNOM continues to be challenged by long measurement times and drift during the acquisition of large associated datasets. Here, we demonstrate a novel approach of computational spatiospectral s-SNOM by transforming the basis from the stationary frame into the rotating frame of the IR carrier frequency. We demonstrate an acceleration of IR s-SNOM data collection by a factor of 10 or more in combination with prior knowledge of the electronic or vibrational resonances to be probed, the IR source excitation spectrum, and other general sample characteristics. As an example, we apply rotating-frame s-SNOM (R-sSNOM) to chemical nanoimaging of ultrathin protein sheets in a mollusk shell. R-sSNOM enables high-voxel-density imaging of sparsely distributed molecules in an extended matrix. It is generally applicable to many multiscale material systems with sparse features and can be extended to other spectroscopic nanoimaging modalities. 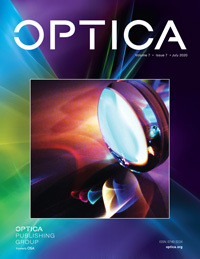 H. A. Bechtel, E. A. Muller, R. L. Olmon, M. C. Martin, and M. B. Raschke, “Ultrabroadband infrared nanospectroscopic imaging,” Proc. Natl. Acad. Sci. USA 111, 7191–7196 (2014). E. A. Muller, B. Pollard, and M. B. Raschke, “Infrared chemical nanoimaging: accessing structure, coupling, and dynamics on molecular length scales,” J. Phys. Chem. Lett. 6, 1275–1284 (2015). O. Khatib, H. A. Bechtel, M. C. Martin, M. B. Raschke, and G. L. Carr, “Far infrared synchrotron near-field nanoimaging and nanospectroscopy,” ACS Photon. 5, 2773–2779 (2018). B. Pollard, F. C. B. Maia, M. B. Raschke, and R. O. Freitas, “Infrared vibrational nanospectroscopy by self-referenced interferometry,” Nano Lett. 16, 55–61 (2016). J. Chen, M. Badioli, P. Alonso-González, S. Thongrattanasiri, F. Huth, J. Osmond, M. Spasenovi, A. Centeno, A. Pesquera, P. Godignon, A. Z. Elorza, N. Camara, F. Javier García De Abajo, R. Hillenbrand, and F. H. L. Koppens, “Optical nano-imaging of gate-tunable graphene plasmons,” Nature 487, 77–81 (2012). I. Amenabar, S. Poly, W. Nuansing, E. H. Hubrich, A. A. Govyadinov, F. Huth, R. Krutokhvostov, L. Zhang, M. Knez, J. Heberle, A. M. Bittner, and R. Hillenbrand, “Structural analysis and mapping of individual protein complexes by infrared nanospectroscopy,” Nat. Commun. 4, 2890 (2013). A. Cricenti, R. Generosi, M. Luce, P. Perfetti, G. Margaritondo, D. Talley, J. S. Sanghera, I. D. Aggarwal, N. H. Tolk, A. Congiu-Castellano, M. A. Rizzo, and D. W. Piston, “Chemically resolved imaging of biological cells and thin films by infrared scanning near-field optical microscopy,” Biophys. J. 85, 2705–2710 (2003). M. Brehm, T. Taubner, R. Hillenbrand, and F. Keilmann, “Infrared spectroscopic mapping of single nanoparticles and viruses at nanoscale resolution,” Nano Lett. 6, 1307–1310 (2006). S. Berweger, D. M. Nguyen, E. A. Muller, H. A. Bechtel, T. T. Perkins, and M. B. Raschke, “Nano-chemical infrared imaging of membrane proteins in lipid bilayers,” J. Am. Chem. Soc. 135, 18292–18295(2013). M. Abe, Y. Sugimoto, T. Namikawa, K. Morita, N. Oyabu, and S. Morita, “Drift-compensated data acquisition performed at room temperature with frequency modulation atomic force microscopy,” Appl. Phys. Lett. 90, 203103 (2007). F. Marin, N. Le Roy, and B. Marie, “The formation and mineralization of mollusk shell,” Front. Biosci. S4, 1099–1125 (2012). B. Marie, I. Zanella-Cléon, N. Guichard, M. Becchi, and F. Marin, “Novel proteins from the calcifying shell matrix of the pacific oyster Crassostrea gigas,” Mar. Biotechnol. 13, 1159–1168 (2011). B. Marie, C. Joubert, A. Tayalé, I. Zanella-Cléon, C. Belliard, D. Piquemal, N. Cochennec-Laureau, F. Marin, Y. Gueguen, and C. Montagnani, “Different secretory repertoires control the biomineralization processes of prism and nacre deposition of the pearl oyster shell,” Proc. Natl. Acad. Sci. USA 109, 20986–20991 (2012). Y. Dauphin, “Soluble organic matrices of the calcitic prismatic shell layers of two pteriomorphid bivalves,” J. Biol. Chem. 278, 15168–15177 (2003). F. Marin, G. Luquet, B. Marie, and D. Medakovic, “Molluscan shell proteins: primary structure, origin, and evolution,” Curr. Top. Dev. Biol. 80, 209–276 (2007). Y. Dauphin, A. D. Ball, H. Castillo-Michel, C. Chevallard, J.-P. Cuif, B. Farre, S. Pouvreau, and M. Salomé, “In situ distribution and characterization of the organic content of the oyster shell Crassostrea gigas (Mollusca, Bivalvia),” Micron 44, 373–383 (2013). Y. Dauphin, J.-P. Cuif, J. Doucet, M. Salom, J. Susini, and C. T. Willams, “In situ chemical speciation of sulfur in calcitic biominerals and the simple prism concept,” J. Struct. Biol. 142, 272–280 (2003). B. Farre, A. Brunelle, O. Laprévote, J.-P. Cuif, C. T. Williams, and Y. Dauphin, “Shell layers of the black-lip pearl oyster Pinctada margaritifera: matching microstructure and composition,” Comp. Biochem. Physiol. Part B 159, 131–139 (2011). F. Marin, B. Pokroy, G. Luquet, P. Layrolle, and K. De Groot, “Protein mapping of calcium carbonate biominerals by immunogold,” Biomaterials 28, 2368–2377 (2007). B. Kästner, C. M. Johnson, P. Hermann, M. Kruskopf, K. Pierz, A. Hoehl, A. Hornemann, G. Ulrich, J. Fehmel, P. Patoka, E. Rü, and G. Ulm, “Infrared nanospectroscopy of phospholipid and surfactin monolayer domains,” ACS Omega 3, 4141–4147 (2018). I. Rabi, N. Ramsey, and J. Schwinger, “Use of rotating coordinates in magnetic resonance problems,” Rev. Mod. Phys. 26, 167–171 (1954). J. Keeler, Understanding NMR Spectroscopy (Wiley, 2002). A. W. Albrecht, J. D. Hybl, S. M. G. Faeder, and D. M. Jonas, “Experimental distinction between phase shifts and time delays: implications for femtosecond spectroscopy and coherent control of chemical reactions,” J. Chem. Phys. 111, 10934–10956 (1999). C. Scheurer and S. Mukamel, “Magnetic resonance analogies in multidimensional vibrational spectroscopy,” Bull. Chem. Soc. Jpn. 75, 989–999 (2002). S.-H. Shim and M. T. Zanni, “How to turn your pump–probe instrument into a multidimensional spectrometer: 2D IR and Vis spectroscopies via pulse shaping,” Phys. Chem. Chem. Phys. 11, 748–761(2009). S. K. Karthick Kumar, A. Tamimi, and M. D. Fayer, “Comparisons of 2D IR measured spectral diffusion in rotating frames using pulse shaping and in the stationary frame using the standard method,” J. Chem. Phys. 137, 184201 (2012). P. L. Kramer, C. H. Giammanco, A. Tamimi, D. J. Hoffman, K. P. Sokolowsky, and M. D. Fayer, “Quasi-rotating frame: accurate line shape determination with increased efficiency in noncollinear 2D optical spectroscopy,” J. Opt. Soc. Am. B 33, 1143–1156 (2016). J. M. Atkin, S. Berweger, A. C. Jones, and M. B. Raschke, “Nano-optical imaging and spectroscopy of order, phases, and domains in complex solids,” Adv. Phys. 61, 745–842 (2012). G. J. Carter, “Guide to bivalve shell microstructures,” in Skeletal Growth of Aquatic Organisms (Plenum Press, 1980), pp. 645–673. Javier García De Abajo, F.
Fig. 1. Rotating Frame s-SNOM (R-sSNOM). (a) Experimental design with an IR light source and asymmetric Michelson interferometer. (b) Schematic of rotating frame reducing the frequency of the basis waveforms (red and orange) to generate new waveforms (light and dark blue) with the same information, but with the beat frequency between the rotation and basis. (c) Depiction of resonant IR feature within the IR source bandwidth. (d) Full experimental nano-FTIR interferogram (red) and a 30x subsampled interferogram that is at the Nyquist limit (blue). (e) Low-frequency full dataset nano-FTIR interferogram rotated by 1550 cm−1 (red) and the similarly rotated subsampled points (blue). (f) Frequency comparison of stationary (red) and rotating frame (blue) spectral response. Fig. 2. Rotating frame R-sSNOM imaging. (a) The prismatic layer (middle schematic, thickness exaggerated) surrounded by organic sheaths (right). (b) Near-field scattering amplitude heterodyne amplified at zero phase difference between tip and reference arms in the rotating frame and (c) stationary frame yielding lower spatial resolution of the same region compared with (b). The white dashed line emphasizes drift artifact. (d) Spatiospectral phase image of same region acquired with R-sSNOM. (e) Representative spectrum of location indicated in (d) showing typical amide I response of the organic sheath acquired with nano-FTIR (blue) and R-sSNOM (black). Fig. 3. Spectral and Topographic Mapping. (a) Topography from AFM. (b) Strength of near-field phase response at 1680 cm−1. (c) Correlation comparison of sample topography and amide phase response. Points of high value indicate high correlation, and points of low value indicate a deviation between topography and the local amide population (see color bar). (d) Correlation plot of height and phase dependence between (a) and (b) (see color bar).